Lehenga skirts are Boring, Try 'Dhoti Pants' this Wedding Season! Are you looking for something other than a lehenga-skirt this wedding season? Then we suggest dhoti pants which are perfect for your cocktail or mehndi functions. 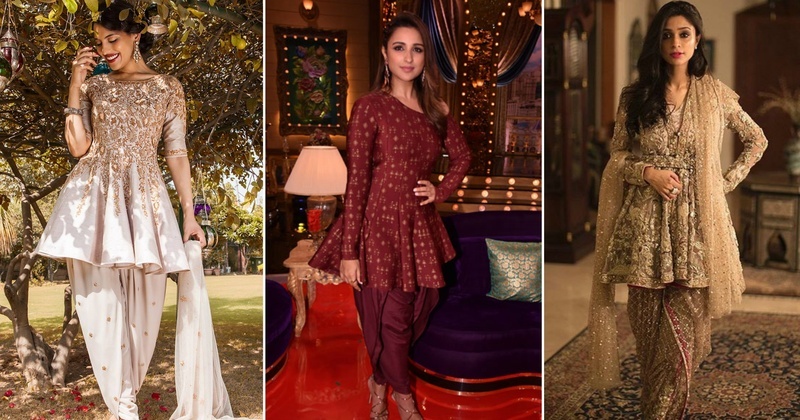 From Kareena Kapoor to Parineeta Chopra, we spotted quite a few celebs sporting these super cool dhoti pants! We know a lehenga is irreplaceable at a big-fat Indian wedding, but nothing can match the comfort factor of these pants! Dhoti pants are undoubtedly the laid-back traditional chic shaadi-wear option! So, which is your favourite pick this wedding season ?